Reporters covering the race between U.S. Sen. Ted Cruz and challenger Beto O'Rourke from five different news outlets answered your questions. Reporters from five Texas news outlets on Tuesday answered questions on Reddit about the U.S. Senate race between Republican incumbent Ted Cruz and Democratic challenger U.S. Rep. Beto O'Rourke. Here are three takeaways. 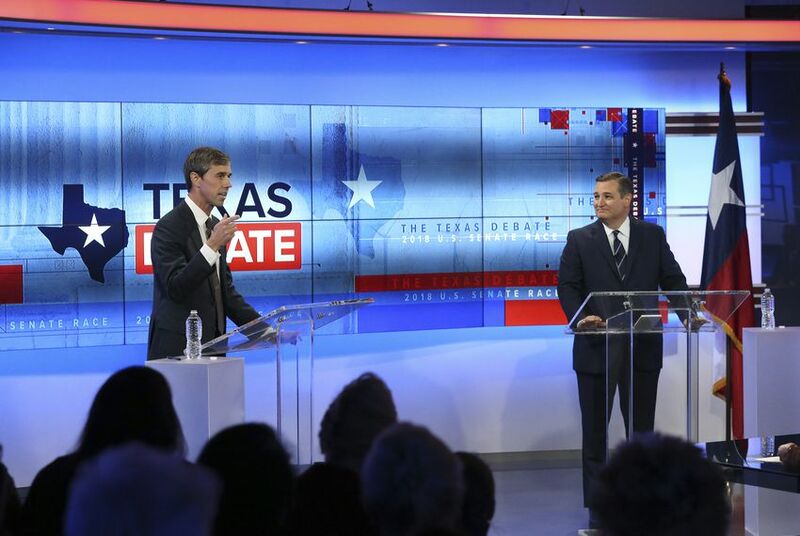 One question a lot of readers asked: Does O'Rourke have a shot at flipping Texas? The Dallas Morning News reporter Gromer Jeffers said O'Rourke had a chance, but it was slim. "Dallas County Democrats need to get about 62 percent of the overall vote for him to have a realistic shot," Jeffers said. "Then in a place like Tarrant County, he needs to get about 48 or 49 percent. He once told me that Tarrant County is a big key. Win or lose, he'll help other candidates." Abby Livingston, The Texas Tribune's Washington, D.C. bureau chief, said Cruz will probably be "fine" — following the usual rules of American politics. "But gosh," she wrote. "Things feel really, really weird on the ground." Polls show Cruz consistently leading O'Rourke. Asked about the accuracy of those polls, Jeremy Wallace of the Houston Chronicle said: "Polls are only as good as the sample size." "That is a mess this year," Wallace wrote. "We had 100,000 new registered voters in just the last two weeks of the registration period and over 500,000 just since March. Hard to poll any of this just right." One reader didn't mince words when they asked: "Why do so many of Cruz's peers dislike him so much?" Livingston detailed a long history of Cruz's time in the U.S. Senate that dated back to his role in the 2013 shutdown. "It seemed like every time [former U.S. House Speaker] John Boehner thought he had a solution, Cruz would meet with the future Freedom Caucus members and things would fall apart," Livingston wrote. "Since his presidential campaign ended, though, Cruz has worked to build better relationships." Fort Worth Star-Telegram's Bud Kennedy pointed out that "it doesn't matter to Texans whether he's well-liked or not." And asked about how Cruz is received at his own campaign events in Texas, Wallace said the junior senator from Texas was popular. "I just came back from the Rio Grande Valley where I was covering Cruz at a series of events," Wallace wrote. "He had over 1,000 people at each event and people stand in line for an hour afterwards trying to get photos with him. Lots of passion in the crowds over these last few days for sure. There is no doubt that his base is fired up by him and his message of promising to defend the Trump agenda." A few Reddit users wanted to know how they could break into political reporting. Madlin Mekelburg of the El Paso Times said reporting for a college paper is a great start. "You can find political stories anywhere, even on a college campus," Mekelburg said. "The most important thing you can do is practice and hone your writing and reporting skills while you're a student." Jeffers told aspiring reporters to "read and write as much as you can and become a political junkie." And Livingston said her best advice was to "show up early and do the small tasks assigned to you with enthusiasm and care." "Don't worry about doing the big stuff until you prove you can do the little stuff," she wrote. Read the full discussion on Reddit here.